Kona Bay Hawaii is a brand engaged in manufacture and sales of vintage Aloha Shirts in Hawaii. Founder KC Kiuchi, an avid collector of classic Hawaiian Aloha Shirts himself with over 300 collections, established the company in 2001 on the Big Island, later moved to Waikiki on Oahu hoping to “pass on the great culture of 1950’s Aloha Shirts”. It is said that the early Aloha Shirts were created by Japanese immigrants to the island that made a shirt out of kimonos. Because there were no factories that dyed and wove the cloth in Hawaii, the cloth came from Japan and were sewn in Hawaii, making the Aloha Shirts produced during 1930 to 1955 very high quality. In the 1950’s, government and people came together and took part in various PR activities for Aloha Shirts leading it to become the formal outfit of Hawaii loved by all locals till this day. Kona Bay Hawaii produces their shirts with the concept of “bringing back the high quality Aloha Shirts from the 50s to this modern age”. They dye the prints in Japan with “discharge printing”, the same method as the 50s, and sew them in Hawaii, just like how they did back in the days creating a true Made in Hawaii Aloha Shirt. In addition, all of their buttons are made from oyster shell to bring it up to the quality of the 50s. Besides the store in Waikiki, the Aloha Shirts are also being sold at “Bailey’s Antiques and Aloha Shirts Inc.” where they deal in over 10,000 Aloha Shirts. Kona Bay Hawaii is approved amongst Hawaii’s makers to be “No.1 Quality”. We want to pass down Hawaii's culture that was born through Aloha Shirts to future generations! The unfortunate truth is that most of the Aloha Shirts made today, are not made in Hawaii anymore. The only company that still produces them in the exact same method used back in the 50s has become just one company, “Kona Bay Hawaii”. With the help of 111-HAWAII PROJECT, they wanted to show the great history and culture of Aloha Shirts to more people and “pass on a truly authentic Aloha Shirt, a representing symbol of Hawaii to future generations!”, thus prompting them to participate in the project. 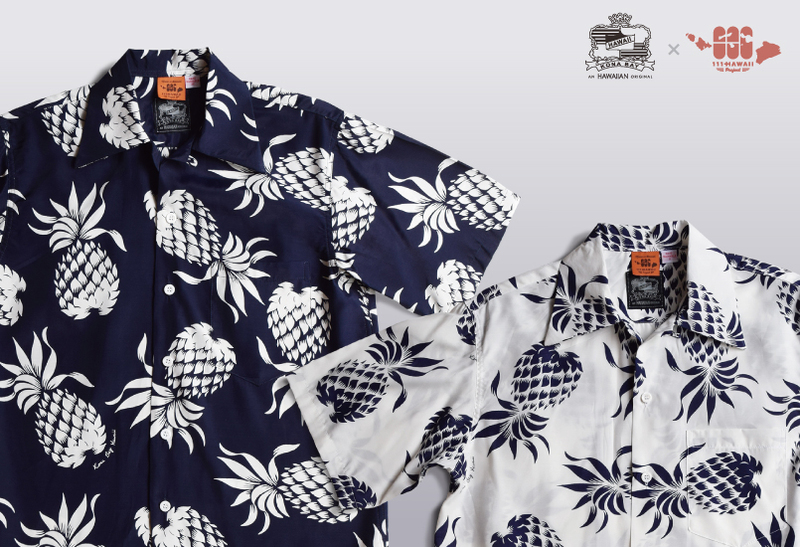 A truly classic reproduction of the most famous Aloha Shirt design in the world! The project team discussed how to express “the quality of 1950’s Aloha Shirts” as a product. Therefore, we decided to make this a reproduction of a classic print that has the true “Aloha Shirt” feeling to it, while the design could be worn fashionably by consumers in this modern age. After carefully looking over various patterns from the 50s, we found the one Aloha Shirt that met both the criteria. “Classic Pineapple” – originated by a maker with the name of legendary surfer, ‘DUKE KAHANAMOKU BY CISCO”, and was worn by an actor in the movie “From Here to Eternity” which dominated 8 categories of the Academy Awards. The shirt is made in the same material, same color scheme, and same production method as that in the original 1950’s and made limited to 444 shirts with the 111-HAWAII PROJECT tag. 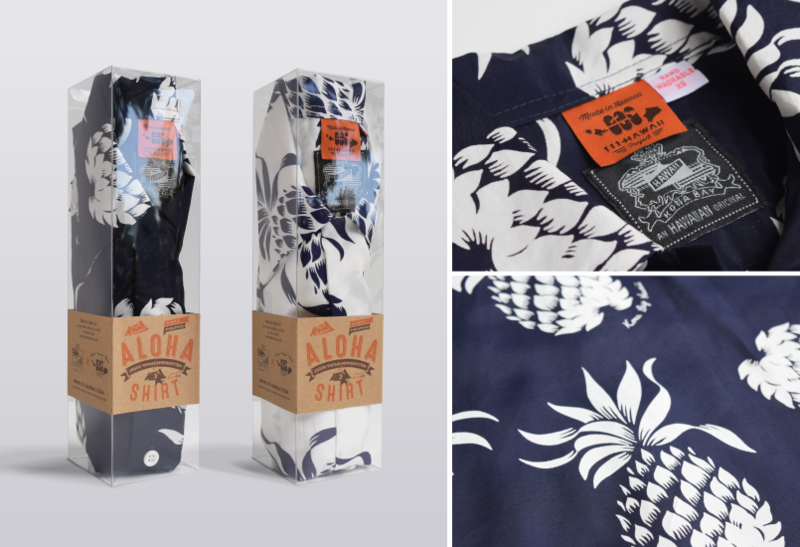 As a “Made in Hawaii” donation product, this “Classic Pineapples Aloha Shirts” is proud to be the fourth 111-HAWAII PROJECT collaborative piece. News Release #69 – A Membership Club for Hawaii Repeaters, “KUJIRA CLUB,” Has Opened! 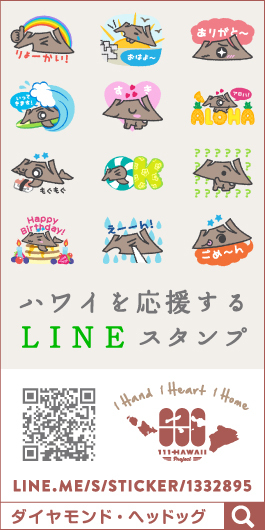 News Release #68 – The Speciality Shop “Good Feelings,” Which Gives You a Sense of Comfort, Has Opened! News Release #67 – “111-Hawaii Award,” an Official Hawaii Ranking Book Made by Japanese People, Has Been Published!